On Seder Night, we read the Haggadah, together with our close and wider family. 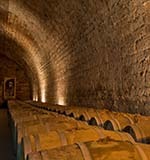 It is a unique annual family occasion, at which wine plays a star role. We have to drink four glasses. In the Haggadah we read about The Wise Son, The Wicked Son, The Simple Son, and the fourth one who does not know even how to ask. Let us assume these are grown up sons, responsible for the wine buying. The Wicked Son is less restrained and disciplined. He likes to over indulge and give an impression he understands wine. He is not worried about price and often will buy the most expensive wine on a wine list because he wants to make a statement. He is a loud buyer, name dropping wines he has drunk and eager to pontificate to an audience about his knowledge. The Simple Son is careful and does not understand all the fuss about wine. He will buy wines on promotion, offering good quality per price ration, and he is not bothered by status and labels. He will go to the supermarket, look at the deals and will not spend too much time in making a decision. If you read a wine column you are probably surprised that most people fall into the category of the fourth son. Let me acknowledge that, by first giving some recommendations for him. TABOR, TIPSEY 2018. This looks like a fun wine…just look at the label and the name. It is nicely balanced fruity wine with a flowery aroma, and is light and refreshing. Not demanding, easy to drink and no need to understand or explain. Recommended. GOLAN HEIGHTS, HERMON MOSCATO 2018. Grapey aroma, semi-sweet and slightly sparkling. This is an any time, any place wine, that even the Great Aunt who hates wine may like. Furthermore, it is a low alcohol, which makes it an attractive option if you need to drink four glasses. HAYOTZER, BERESHIT CABERNET SAUVIGNON 2017. This is a simple rendition of Cabernet, but what I like about it is that it is attractively fruity, and has mouth filling flavor, with an almost refreshing finish. It is a good drinking wine. RECANATI, SAUVIGNON BLANC 2018. Classic Sauvignon, bone dry with aromas of grapefruit and tropical fruits. Nice refreshing acidity and good value. A great wine to accompany a plain grilled fish cooked only with olive oil and herbs. JERUSALEM, MONTEFIORE WINDMILL CHARDONNAY 2017. A beautifully balanced Chardonnay, part fermented in barrel and part stainless steel. It has a touch of the plush style of rich Chardonnay, but with an underlining acidity that makes it a good food wine. 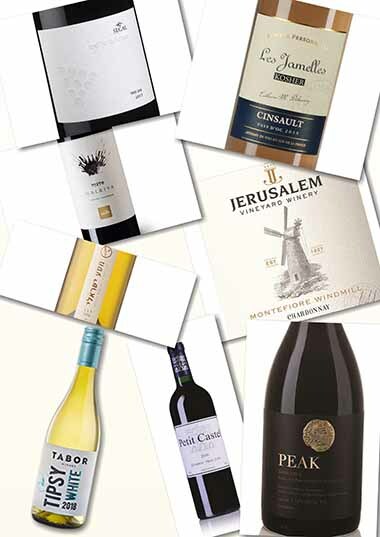 The wine is part of a boutique range made by talented Canadian winemaker Sam Soroka to be sold in the Montefiore Windmill in the Mishkenot Sha’ananim – Yemin Moshe neighborhood of Jerusalem. There the Jerusalem Vineyard Winery have opened one of the most original and innovative tasting rooms in the country. GOLAN HEIGHTS, GAMLA RIESLING 2017. Gewurztraminer is very popular. It has taken over from Emerald Riesling as the nationally preferred semi dry wine. I like the ones produced by Hayotzer and Jerusalem wineries. However instea, I am proposing a quality, innovative alternative. This Riesling is nothing to do with Emerald Riesling. It is made from the famous German grape variety. The wine is semi dry…but better described as off dry. It has a delicate white flower aroma, great acidity and the touch of sweetness that makes it so well balanced. LES JAMELLES, CINSAULT ROSE 2018. I normally focus on Israeli wines, but had to put this one in. Les Jamelles are some of the best value wines available in Israel, from the South of France and they have a following here. Now they have come out with a series of kosher wines. This is a classic French style rose, made from Cinsault grape (very rare in Israel.) It has that delicate onion skin color, is clean, dry and refreshing. Look out for Les Jamelles….a fantastic addition for the kosher wine drinker. To avoid confusion, the word Kosher is written bright and clear on the front label. GALIL MOUNTAIN SYRAH 2018. A very pleasant wine made from Syrah grapes grown in the Upper Galilee. It is a variety that makes good wines at all ends of the spectrum, This is bright, young, fresh, full of ripe brambly fruit and with attractive fruit flavors on the palate. Uncomplicated but a drinking pleasure. DALTON, ESTATE PETITE SIRAH 2017. Petite Sirah is one of those unsung grape varieties which is very suitable for the Israeli climate. Dalton Winery have struck gold with this. There are oodles of black berry fruit, with a hint of violets on the aroma. It is a big, flavorful wine which punches above its weight….and it is not Cabernet or Merlot! NETOFA, DOMAINE RED 2017. This is a super, chewy Mediterranean wine. Fruity yet with a succulent meaty flavor and a clean finish. I tasted this wine and finished the bottle with my friends without even realizing. It reminded me certain wines demand another glass, because they satisfy the thirst and are not too big and bombastic. If a good wine is an empty bottle, this is it! THE WISE SON NIS 75 -125. VITKIN, MASA ISRAELI 2018. An exotic blend of old vine Colombard, Grenache Blanc, Roussanne, Viognier and a little Gewurztraminer. It has a fresh, fragrant nose without being over tropical like so many Israeli wines. It has some weight in the mouth with minerality and an expansive finish. The perfect wine with mezze. Vitkin is one of our best and most innovative small wineries. Kosher since 2015. CASTEL, ROSE DU CASTEL 2018. This recommendation is a statement. Rose is back, it is here to stay and even top wineries are making roses which are not inexpensive (for the style of wine), and wine lovers are buying them. It is a very pale salmon pink, with oh so delicate berry fruit, characterful flavor and crisp finish. VORTMAN, SHFEYA VALLEY 2015. Vortman is one of my favorite unsung wineries offering very good, honest, authentic wines. Their whites are outstanding, but I have lately taken a liking to their reds also. This is a blend of Malbec, Petit Verdot and Cabernet Sauvignon. It is full bodied with deep black berry and ripe plum fruit and has a great texture. It has layers of complexity and a long well – balanced finish. 1848, 6th GENERATION PARTY TIME 2014. 1848 Winery is owned by Israel’s oldest existing winemaking family. They have launched a series of wines for special occasions. There is one called Party Time and another called Family Events. It is an idea assisting those who want to ‘match wine to mood, not food’. However, the wines are not different from regular wines….and certainly not worse for their innovative labels. I tasted both and warmed to the Party Time wine, which is a blend of Syrah and Argaman. It is rich, deep, quite powerful, oaky but full of flavor and has good length. 1848 Winery is a fast improving winery. TEPERBERG, ESSENCE MALBEC 2016. This juicy fruity red wine is one of the best Malbecs in Israel. It has a freshness and vibrance that I like, even though it is backed by good structure and noticeable oak aging. The result is a quality wine. Teperberg is the largest family winery in Israel and is today making good wines at every price point. CHATEAU GOLAN MERLOT 2016. This is one of the leading wineries in the country. Currently non-kosher, there are I believe plans to make a separate kosher wine in the future. People normally talk about the winery’s Syrah or Eliad blend, but I found this really well made and satisfying. It has depth, broad ripe fruit flavors, but with an angular flavor and a broad finish. TURA MOUNTAIN HEIGHTS SHIRAZ 5775 (2015). This is a fruity Shiraz from Har Bracha in the Central Mountain region, grown at 850 meters altitude. It has exactly the spicy and black pepper character associated with the variety and the vanilla from oak aging provides a good backdrop. It shows itself well and it is a great example of Israeli Shiraz. Tura Winery is making some very good wines these days. PSAGOT, PEAK 2016. This is arguably one of the finest Mediterranean blends in Israel. It is made from Syrah, Petite Sirah and Mourvedre. The Syrah gives fruit, the Petite Sirah a flowery character, deep color and tannins, and the Mourvedre gives texture. It is a wine with great depth and complexity on nose and palate. A serious wine. If anything, it is still young and will benefit from time. BINYAMINA, THE CAVE 2015. The wine (Cabernet Sauvignon, Merlot & Petit Verdot) is deep, full bodied, bombastic with ripe, raisiny fruit aromas and it is very oak driven. The bottle exactly reflects the wine, ridiculously heavy and over the top. However, it is a style of wine that has a following, is still popular…….and undoubtedly those that like this wine, like the Wicked Son, will like it very much! TABOR, MALKIYA 2015. This is a single vineyard Cabernet Sauvignon which has a sterling record over the years. The wine is elegant, focused with bright fruit, soft tannins, well integrated oak treatment and a long, lingering finish. Tabor Winery usually known for white wines, and great value at the cheaper end of the market, is also making some pretty fine wines at the top end of the market too. This is one to cherish. FIVE STONES, VIRTUOUS 2016. A big, full bodied Bordeaux style blend, in a big heavy bottle, with opulent fruit, full of flavor and with layers of complexity. It is not my style, but it is well-made, full of depth with a velvety richness and lingering finish. Five Stones is a reasonably new initiative, which is of interest and worth checking out. GOLAN HEIGHTS, YARDEN BAR’ON VINEYARD CABERNET SAUVIGNON 2015. 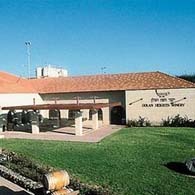 The Golan Heights Winery are masters of Cabernet Sauvignon. Their Yarden and Gamla Cabernets are bywords for value and quality at their different price points. I also really enjoyed the new Bar’on vineyard Cabernet. It is full bodied and displays black cherry, black currant and berry aromas, with earthy notes blanketed by hints of oak in the background. It concentrated and a closed fist of potential which will gradually open. For children, the Carmel Tirosh is still the Rolls Royce of grape juices. If you are looking for a cheaper one, maybe the grape juice produced by Zion Winery is the best of the rest. For those who like the horrible habit of mixing kiddush wine and grape juice, I recommend choosing instead a sweet Moscato or Carignano, which are low alcohol, and ideal for the same purpose. Wishing everyone a Kosher & Happy Passover. Remember the Festival of Freedom is also a Festival of Wine!